I grew up in Moline Illinois, graduated from Alleman High School and Black Hawk College with the Dental Assisting Program. I moved to California to continue working in the Dental field. I moved back to the Quad Cities to raise my son, John, and be close to my family. 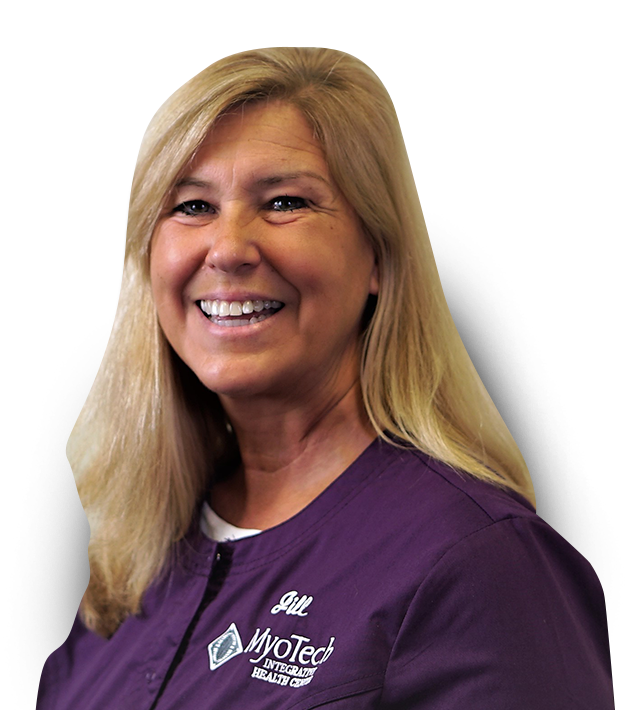 I started working at MyoTech in the Denture Department and Sleep Department. I have been at MyoTech now for thirty years. I am married to Chris Scott. I enjoy spending time with my friends and family. My Bulldog is named Oscar.